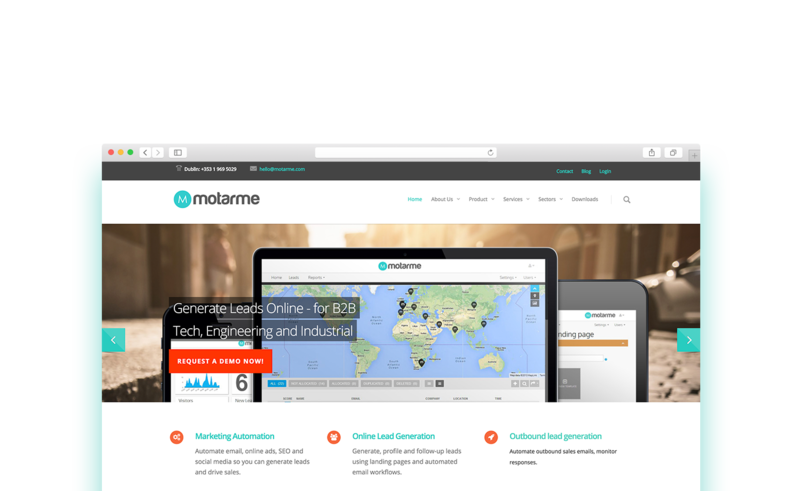 Motarme offers marketing automation technologies. The system includes lead capture, email notifications and social media integration. Finding a reliable partner that would coordinate the project. Building all neccessary features in line with the targeted audience. Making sure the platform’s marketing automation schema worked smoothly both on its web and mobile apps. Netguru's team helped Motarme create a number of new solutions. We provided a comprehensive service and built the app from scratch. Offering advice on backend and frontend web development. Enabling the constant improvement of the app during the development process. A hands-on approach and efficient communication with the team. Motarme is now a fast and easy-to-use, mobile-friendly platform. The web-based SaaS marketing automation software has a firm position on the market. The app was launched on time and has been growing ever since. Motarme’s customers include Siemens, the Mergon Group and Deanta Global. The cooperation with Netguru went very well - Motarme is working with the team on several new projects.